The Netgear NeoTV range can upgrade your standard TV to a Smart TV. Also, if your existing Smart TV is limited in features you can attach a NeoTV to get the additional services or features. 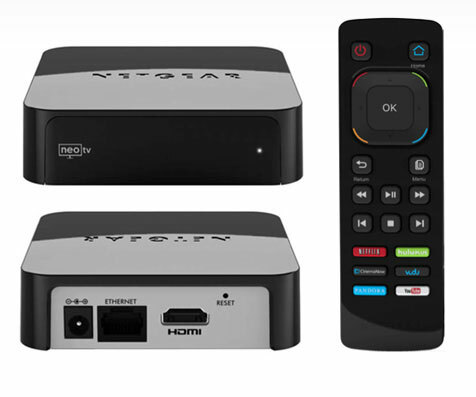 With NeoTV you can access thousands of movies, TV shows or songs from Netflix, Hulu Plus, Vudu, Best Buy, You Tube, Phapsody, Pandora and many others and stream them to your TV at full 1080p HD and listen in 5.1 Dolby Digital Surround Sound. You can connect any other players to our home network using Wi-Fi or wired Ethernet. They all have their own remote that offers one-touch Quick start buttons, but if you want you can download Netgear’s free remote app from Google Player for Android devices and Apple Store for Apple iPhone, iPad or iPod. The app turns your Smartphone and tablet into a simple touch screen remote control of the NeoTV Streaming Players. As added bonus Netgear has added Intel WiDi (Wireless Display) technology to the NeoTV Pro (NTV300S), making it the first streaming player to have it. With Intel WiDi you can wireless display anything on your laptop to your TV in full HD (1080p) video resolution and 5.1 Dolby Digital Sorround Sound. NeoTV Pro can also able to connect to older TVs that don’t have a HDMI port. The premium model of the range, the NeoTV MAX (NTV300SL) offers more advance features, according to Netgear takes it beyond those of most Smart TVs. In addition to features offer by NeoTV (NTV300) and NeoTV Pro, The NeoTV MAX allows you to access and play media files from an external hard drive, via USB or DLNA media server. 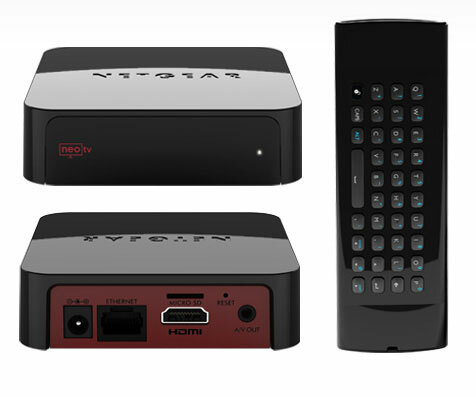 The NeoTV also comes with a premium remote control with simple navigation buttons on one side and full QWERTY keyboard on the other, so you can easily type in the tiles of videos, songs or movies you are searching for. To top it off with NeoTV MAX you can stream full 3D movies from Vudu to 3D enable TVs. 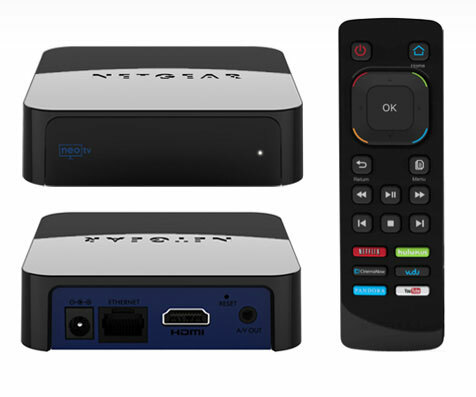 What will it cost you, they are available at Amazon.com: NeoTV(NTV300) is priced at $49.99; NeoTV Pro(NTV300S) is for $59.99 and NeoTV MAX(NTV300SL) is $69.99.